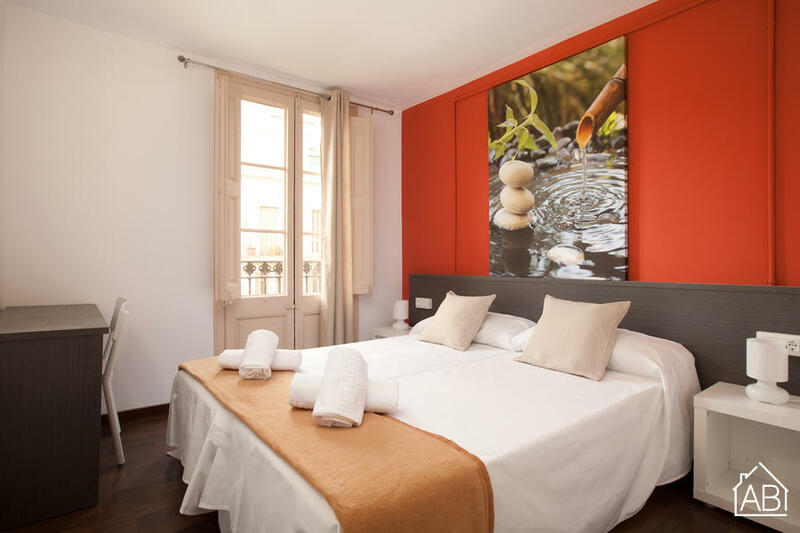 This is a comfortable apartment in Barcelona, perfect for large families and/or groups. It is located just off Paral-lel street, one of the most famous in Barcelona, and is just a few minutes from the Port and Las Ramblas. It is brilliantly connected by public transport to the city´s main attractions and is surrounded by pleasant bars and restaurants, plus many places for entertainment, including several theaters. This wonderful apartment has access to a communal terrace, where guests can enjoy the grass, showers and sunbeds provided.